Tasks often feel easier to perform as we gain experience with them, which can have unintended consequences when the task involves rating a series of items, according to findings published in Psychological Science, a journal of the Association for Psychological Science. The findings show that people tend to attribute the increasing ease of making ratings to the items themselves rather than to the ratings process, resulting in rating inflation over time. Given that sequential ratings are a part of many everyday activities, this research has potentially wide-reaching implications. In one study, O’Connor and coauthor Amar Cheema examined judges’ ratings from the TV show Dancing With the Stars. The researchers specifically looked at 5,511 scores made by the three core judges over 20 seasons of the show. They found that the judges’ average scores increased season by season over the 20-season run. Additional analyses indicate that the rise in ratings was not due to professional dance partners’ increasing experience with the show, or increased dance ability, over successive seasons. Ratings inflation also emerged in a domain with broad relevance: Student grades. The researchers analyzed data from 991 course sections offered at a large US university over successive spring and fall semesters from 2000 to 2009. They found that successive sections offered by the same instructor had higher grades over time, a phenomenon that couldn’t be explained by instructor ability or student performance improving over time, or even by calendar year (i.e., general grade inflation over time). Studying the phenomenon in a controlled experimental setting, O’Connor and Cheema also found the rating inflation effect in students’ ratings of short stories. Students evaluated 1 story per day over a 2-week period, evaluating a total of 10 stories presented in random order. Analyses of 1,572 observations from 168 participants showed that participants tended to rate each successive story more positively than the previous one. 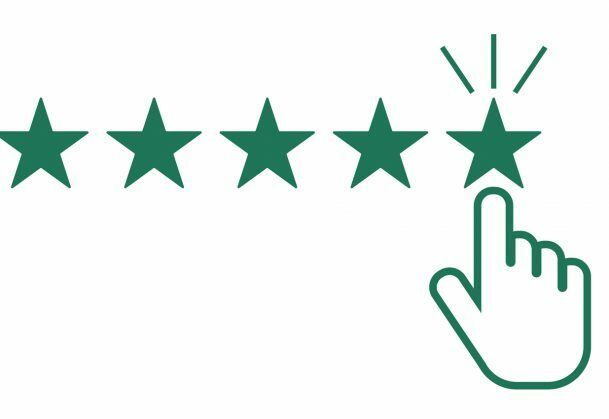 Participants also reported that the rating process became easier, quicker, and more enjoyable over time, but did not believe that their ratings became more favorable. Another online study produced a similar result, showing that participants perceived the ratings process as more fluent — that is, easier and quicker — as they evaluated more stories, which boosted their ratings over time. Despite this, participants remained unaware of the study aims. The inflation effect may be small, the researchers note, but it is consistent across different contexts and can influence outcomes in meaningful ways. In the college grades study, for example, course GPA increased on average from a B+ to an A- over approximately 20 successive offerings. “Making people aware of this pattern, and perhaps providing them an explicit standard that they should stick to when evaluating, may be the way to go,” O’Connor says. This research was supported by funding from the McIntire School of Commerce. Data and materials for Studies 1, 3, 4 and S1 to S4 have been made publicly available via the Open Science Framework. The complete Open Practices Disclosure for this article is available online. This article has received the badges for Open Data and Open Materials.